This Demonstration shows the rotation of a tetrahedron, pyramid, cube or octahedron in space about a vertical axis. Clicking the second button of the "rotate" control (the play button) starts the rotation of the cube around the vertical axis. 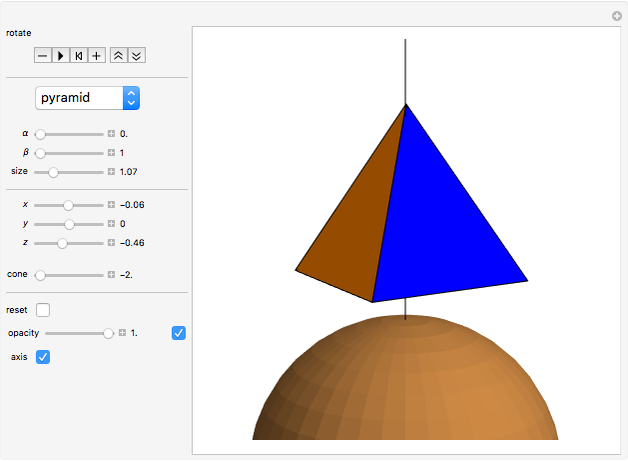 Sliders " " and " " control the position of the polyhedron in space before the rotation starts from 0 to 360 degrees. 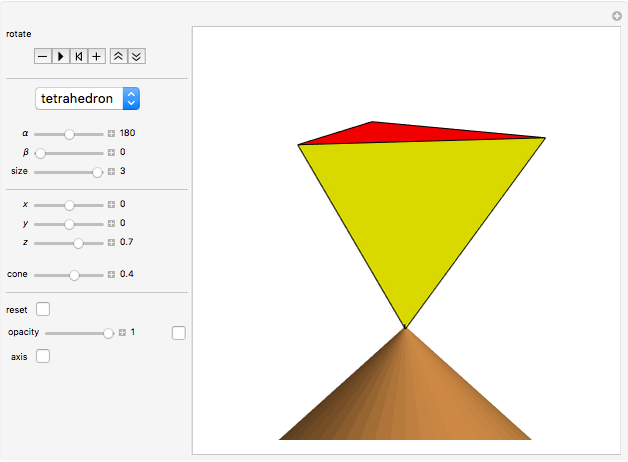 Use the "size" slider to change the size of the polyhedron. Use the " ", " " and " " sliders to displace the polyhedron. Use the "cone" slider to adjust the height of the cone. 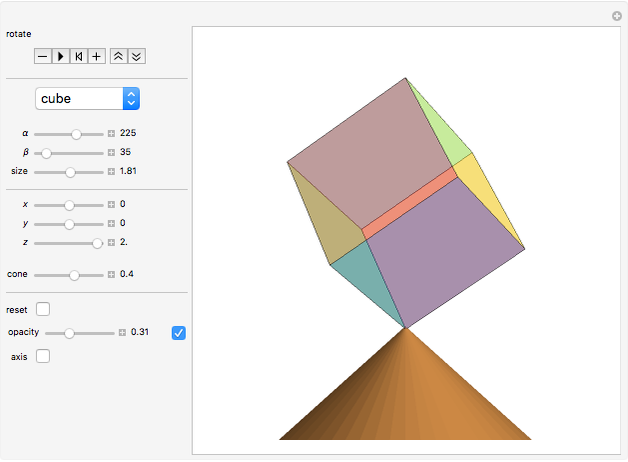 Click "reset" to return to the original values for the current polyhedron. The "opacity" slider controls the opacity if the toggle to the right of it is clicked; otherwise the opacity will fade in and out automatically. Click "axis" to hang the polygon from a thread. Karl Scherer "Rotating Polyhedra in Space"